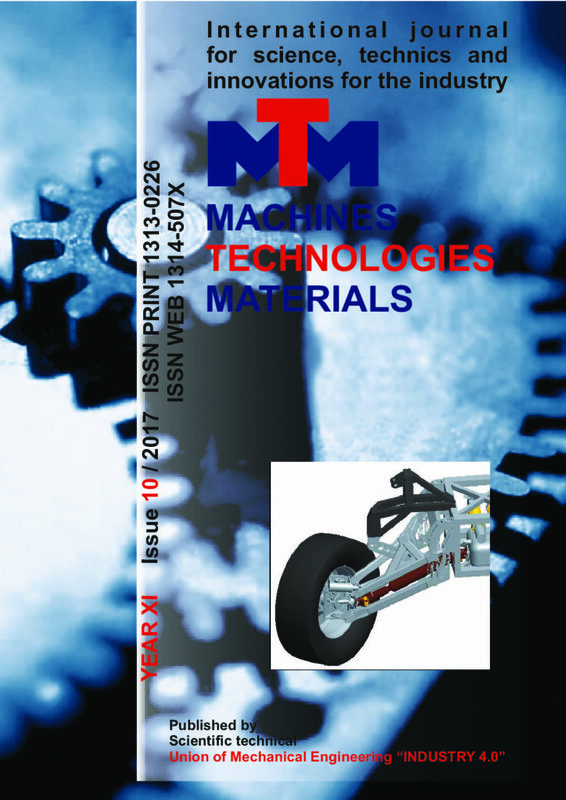 This paper discusses the research methodologies utilized for developing a suspension system for a four wheel-drive terrain vehicles. The main research methods can be identified as literature studies; design processes by applying CAD systems, numerical analyses methods, mathematical modeling and simulation, optimization of the mechanical systems, as well as the comparison, analysis, and evaluation of the obtained results. The proposed suspension system for the terrain vehicle was successfully derived at from a classic double wishbone control arm. Optimization of the suspension parameters for passive ones is performed by Multi Objective Genetic Algorithms, whilst for active damping force by employing Hooke-Jeeves non-linear programming method. On the basis of comprehensive analysis it is shown the active systems are more adequate. The proposed suspension design provides relatively small lateral wheel motion, zero camber angles, and effectively absorbs the vibrations caused by road excitation. This paper presents numerical analysis of efficiencies and non-measured operating parameters for the marine two-stroke slow speed turbocharged diesel engine 6S50MC MAN B&W with direct fuel injection. Numerical analysis was based on a measurement set performed at different engine loads. Calculated efficiencies were mechanical, indicated and effective efficiency, while the calculated important operating parameters were power of engine mechanical losses, mean effective pressure, effective engine torque and specific effective fuel consumption. Engine load was presented in percentage of maximum continuous rating (MCR). The highest engine mechanical efficiency of 94.52 % was obtained at the highest engine load, while the highest engine effective efficiency of 49.34 % was obtained at the engine load 75 % of MCR. Available engine effective torque was from 267380 Nm on the lowest up to 643594 Nm on the highest engine load, while effective fuel consumption was between 171.18 g/kWh and 186.83 g/kWh. This paper describes directions of realization of the multilevel modification principle in materials science and technology of polymer composite materials based on thermoplastics. It is shown that the introduction of nanoscale particles of different structures and production technologies into the composition of the composite makes it possible to transform the structure at various organization levels, which leads to the achievement of a synergistic effect of increasing the parameters of deformation-strength, tribotechnical characteristics and resistance to the action of thermal-oxidative medium. One of the perspective technologies of the nanomodifiers introduction into the composite material is the diffusion treatment of components and products in precursor solutions. Mixture of composite materials with increased parameters of performance characteristics for use in engineering, chemical and mineral resource industries have been developed. Analysing of material flows within the boundaries of the production system it is possible to conclude that the sources and sinks of those material flows are storages. In those storages in the function of the kind and the type numerous processes are implemented. These storage processes along with the material handling processes are responsible for quantitative and dynamic balancing of material flows and as such have a significant impact on the total cost and productivity of the production system. Due to the above reasons, the design of storage is an important task which needs to be adequately accessed. Regardless of the kind and the type and the associated processes within storage one of the main activities in the design phase of storage is to define its location, with special emphasis on interaction with other elements of the production system (production and processing equipment, material handling equipment and devices, etc.). Namely, selection of the right location, among other things ensuring the necessary conditions which will make the process of storage to meet the technical and technological, economic, organizational, IT and other requirements upon it. Horseradish peroxidase represents one of the most exploited enzymes in the process of enzymatic phenol removal from aqueous solutions. It has a catalytic ability over a broad pH range, temperature and contaminant concentration. In this study we have investigated the influence of pH and temperature on process of phenol removal by crude horseradish peroxidase from aqueous solution. Reaction was performed in the presence of low molecular polyethylene glycol (PEG 300) at different temperatures (4, 12, 17, 20, 25, 30, 35, 40 and 45 °C) and pH values (3, 4, 5, 6, 7, 8 and 9). Reaction was monitored by measuring of absorbance changes of the samples taken at certain time intervals from reaction mixture. Obtained results shown that phenol removal from aqueous solution increases by temperature increase up to 35 °C, after which this effect no longer exists. Also, phenol removal increases in the pH range of 3 – 7, while a further increase of pH value leads to the opposite effect. Based on this it can be concluded that phenol removal from aqueous solutions greatly depends of peroxidase activity, because this temperature and pH values represents the optimum values of peroxidase enzymatic activity. Cities are faced with many challenges, in particular in relation to the mobility of people and the structure of land-use. Parking management, which makes the link between the fields of urban planning and transportation, is one of the crucial ways to meet these challenges. The problem of parking in the capital of Kosovo in Prishtina is a major concern for the citizens and central and local authorities. For the purpose of easier parking problem study, the first ring of the center zone of Prishtina is divided into XI sub zones. During the collection of data directly from XI sub zones through the observation- survey method, it was noted that the biggest problems are in the sub zones II. Therefore, in this paper is analyzed sub zone II through the parking statistics such as parking causes, accumulation, parking loads, parking duration. After the analysis, findings are made on the choice of the parking problem for this sub zones. In the present study a comprehensive numerical study has been conducted to simulate the resistance spot welding process. The phase- field method is employed to model the phase change during the melting and solidification of the material. By this way, the martensitic properties are assigned at the nugget and heat affected zone. As a result of this modelling the residual stress at the heat affected zone is attained and shows maximum value on the heat affected zone. Quantitative analysis of the phase composition of the Ti-Al-V-Mo-Zr system alloys was carried out during operation using the Thermo-Calc program (TCW5 version, TTTI3 database). Polythermal and isothermal cuts are plotted, design temperature values of liquidus, solidus and transition into β-field during heating are given. Regarding the titanium alloy of the Ti-Al-V-Mo-Zr system the effect of annealing temperature on the microstructure of the alloy as well as on the alloying elements content in α and β–phases was studied using the scanning electron microscopy method. Chemical structure and optical properties of thin coatings synthesized from organosilicone precursors by means of radio frequency plasma enhanced chemical vapor deposition were studied by means of Fourier transform infrared spectroscopy, scanning electron microscopy and variable angle spectroscopic ellipsometry. Both precursors, namely hexamethyldisilazane (HMDSA) and tetramethyldisilazane (TMDSA) were used to deposit films under conditions of different proportions of oxygen to nitrogen in the reaction mixture. In both cases, changing that proportion from 0% to 100% resulted in a substantial change of refractive index of the resulting coating, from 2.22 to 1.65 and from 2.31 to 2.03 for HMDSA and TMDSA, respectively. The results obtained allowed us to design and to manufacture a “rugate” interference optical filter with a gradient value of refractive index. For that purpose, HMDSA precursor was selected as one enabling a change of refractive index in a much broader range.